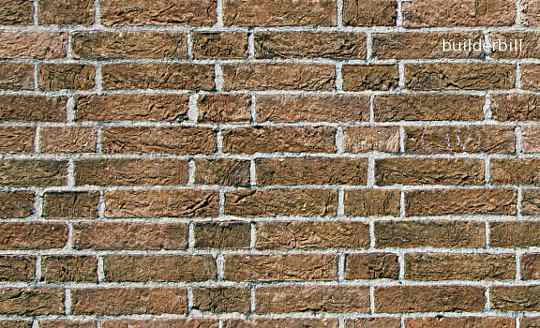 A brick bond for lightly loaded walls that consists of alternating three stretchers and a header. Staggered every course. A variant of Flemish, but with the header centred over the joint between two stretchers. There are regional differences in naming all of these and this bond often gets called Garden Wall bond. Once again there are more differences in the layout also and below is a variation with only two stretcher between the headers. A closer look at the brickwork above shows that the headers are centred over the joints. This layout is known as Monk Bond.